22 December 2012 | International Solidarity Movement, Sarra and Tell, Occupied Palestine. A family in Sarra, a village of around 5,000 inhabitants, told us how 50 Israeli soldiers violently entered their home at 1:00am. The soldiers first forced the family of seven, including two children of ages three and ten, to stand outside the home in the cold, and then later locked them in one room inside the house. This while soldiers ransacked their house and deliberately smashed electronic appliances, furniture and tiles. A flight of stairs leading to a garage was entirely destroyed, furniture was overturned, doors were dislodged and broken and stored wheat was mixed with oil. 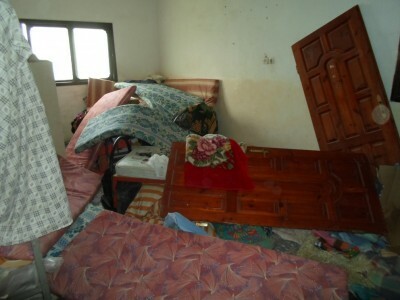 One person was arrested and taken to the Huwwara Military Camp. No reason was given for the raid or the arrest. The mother who had one of her sons arrested expressed concern at the fact that when persons are taken away by the military they might be kept in prison for weeks, months or even years. Israeli law allows the military to keep Palestinians in administrative detention for years, without informing them of the charges against them. and taken away by the soldiers. A 60-year old man holding clutches recounted how he was violently pushed on the ground by the soldiers when he complained of the treatment they were receiving. Two persons from Tell were arrested during the raid. 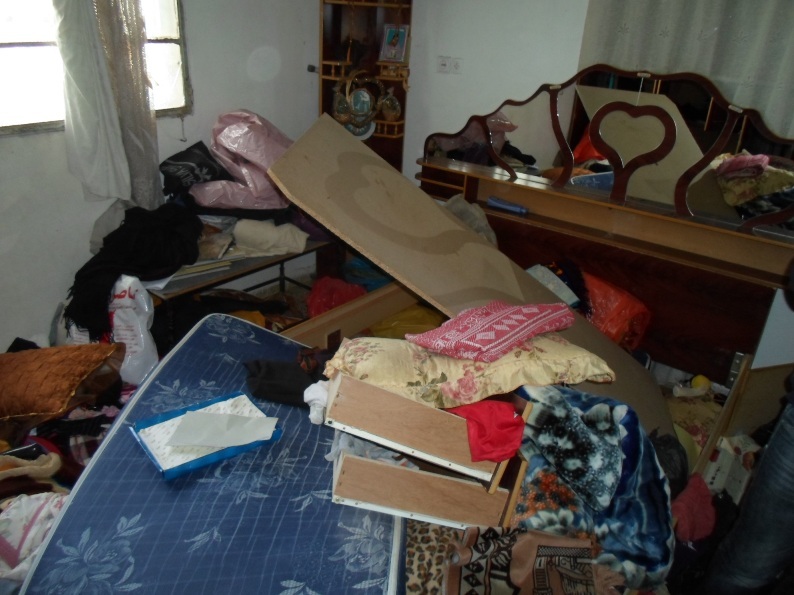 The ransacking of houses in Sarra and Tell comes amidst a surge in violence and intimidation by the occupation forces in the West Bank in these last weeks, with an increase in violent raids at night and the use of live-ammunition in a number of situations. This is thought by many to be revenge for the successful non-member state bid at the UN. People in Tell told us weeks ago Israeli soldiers entered the village and started shooting at youths playing football. 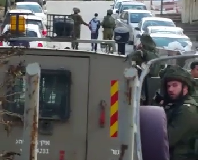 No one was hit during the incident, in what seemed to be another exercise in intimidation by the Israeli military.